After vineyard visits and food trails, travellers holidaying in places like Europe, America, UK and A�Australia opt for certificate courses and master classes on subjects ranging from baking and pastry A�making to plating and food photography, at institutions like Le Cordon Bleu. Bake the perfect loaf of bread, plate dishes like a pro or simply learn to take good food pictures a�� these are but a few of the things that institutes like the prestigious Le Cordon Bleu (LCB) allow you to do in a day. Once accessible only to A-listers (think Dustin Hoffman, Ronald Reagan Jr and Blake Lively among many others) and aspiring chefs, the doors of LCB are today thrown open to anyone wishing to learn a thing or two about food. And if you are holidaying near one of the Paris-headquartered institutea��s 50 plus campuses across the world, you can sign up for a certificate course. 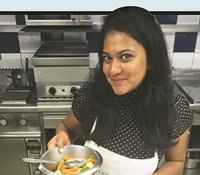 When Kaavya Krishna, who works for an international bank, was in Paris on work for two months, she took up a two-day course on vegetarian French cooking. a�?It helped me understand the techniques that go into creating each component of a dish. The course itself is intense. A lot of it is fun but you have to be very quick with your hands and think fast. I went back for the course on French pastry,a�? says Krishna, who intends to do a course in bread making next year. Krishna shares that she met quite a few Indian home bakers at the 100 plus year old institution, who wanted to return and set up a business after completing the course. For chartered accountant and part-time baker from Mumbai, Rutvika Bhide, a day at LCB, Paris, involved demo sessions followed by practicals where she made tarts, butter cakes, brioches, puff pastry and pithivier. Bhide took up a four to five week course on Basic French Patisserie in 2013. a�?I was also thinking about Ferrandi in France, but LCB won because of its international appeal,a�? says Bhide, who like many others in the country, is warming up to the idea of a productive holiday that also results in a certificate from institutes like LCB and the Culinary Institute of America. After two courses at Le Cordon Bleu, Chennai baker Samriddhi Gupta says, a�?You had to apply in advance for the courses that I did. LCB has several courses that are just a day long, though Ia��m not too sure about how hands-on they are. Their macaroon course is quite popular.a�? Chef Rajesh Radhakrishnan from The Park admits that these institutes are great places to learn. a�?But the short courses are only for home cooks/bakers and not for professionals,a�? adds the acting general manager, having done a 15-day course at the Italian Institute of Culinary and Pastry Arts about three years ago. a�?Nowadays people are going to restaurants like Blue Elephant in London to learn. 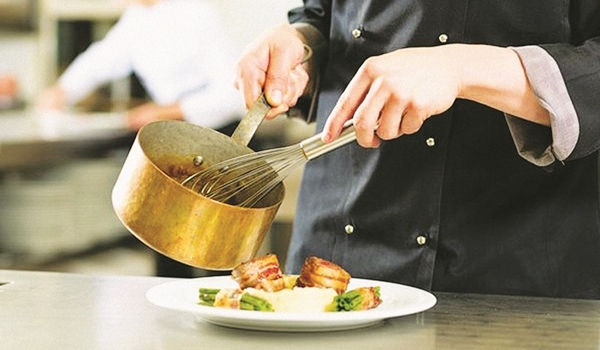 Most Michelin-starred restaurants, including a few by Gordon Ramsay, offer master classes,a�? he points out. Coming to India?It is nearly eight years since word of Le Cordon Bleu branching into India spread around. A spokesperson from the school said that they were in talks with a�?local partiesa�? and that school would be operating as a franchisee. LCB did however, partner with GD Goenka University, Haryana, to offer a three-year bachelors degree in hotel management. Indian American chef and author, Floyd Cardoz, who also teaches at The Institute of Culinary Education, New York, feels that one must have a clear reason for taking up short classes. a�?Everybody should learn to cook. But there are some who take up these classes to try to imitate recipes and open restaurants and that is wrong,a�? he shares, adding, a�?Baking is quite different though. A week can teach you a lot and that can help with a home business.a�? Cardoz agrees that many Indians are taking up classes while holidaying in the US, but it is Europe that attracts the most of them, he insists and Seema Jaising, the founder of events management company CHE Experiences seconds him. a�?I had customers go to Jordan for 10 days and incorporated a cookout at a local Jordanian restaurant for them. Another went to Iceland and cooked a five course meal at the Lava Restaurant in Blue Lagoon,a�? she says. Places like Thailand, Cambodia, Uzbekistan and Morocco are new destinations where customers want to learn to cook on holiday, she says. Beebee Martinent, who used to run a Malaysian coffee shop in the city years ago, travels to the Southern part of France (she is married to a Frenchman) frequently and takes up classes. She has learnt under three Michelin star chef Anne-Sophie Pic who owns a restaurant in Valence. Last year, she took up a three-day class at the Alain Ducasse Cooking School in Paris. a�?I learnt to make modern apple pie, eclairs, fig tarts and fresh pastas too,a�? she says, adding that another class that she took up in Paris was on croissants. a�?I also learnt a bit of Moroccan cuisine at a small hotel in Marrakech,a�? she shares. Though these institutes offer options on regional cuisine, a lot of people from India are showing interest in baking, feels Madhulika Sundaram, the former head chef at Brew Room, Hotel Savera. a�?I cana��t really say why though,a�? she admits. a�?I wanted to be a chef and took up a year-long cuisine course at LCB in 2010. But I know people who have done the pastry course there and then bake at home,a�? says Sundaram, who also learnt organic cooking at the Ballymaloe Cookery School, Ireland, and is currently busy setting up her own cafe/restaurant. Home baker Charita Surana, who completed her three-month course at LCB, London, this September, initially set out only to refine her skills. a�?Ia��ve been baking at home for some time now. But I was able to identify so many mistakes I have been making, like overfolding the batter while making a cake,a�? she says, adding, a�?But baking with eggs was a challenge because I have always baked without egg.a�? Surana is now taking orders for desserts and more. a�?My friend who took the course along with me has also started baking professionally now,a�? she says. But are short courses viable for those wishing to go professional? Arul Santhosh, the executive chef at Apollo Sindoori Hotels, says that they might not be of value to someone who is looking to enter the restaurant industry. a�?The way they work there is very different from the way we work in India,a�? he says, adding, a�?No course compares to experience in the kitchen. It certainly gives you knowledge though.a�? Leonardo Seghi, the chef and partner at Umami Kitchen, Pondicherry, says that if one wants to join a restaurant, a long term course is a better option. a�?The short term courses are almost as expensive as the professional ones and teach you about things like making cheese and bread in addition to the cuisine,a�? says Seghi, who completed a three-month professional course at LCB, Florence in 2011. Though some classes can cost around 150 Euro for two days, clients like Kaavya Krishna feel ita��s worth the money. a�?My husband and I learnt a new skill and had fun, so it was worth it,a�? she says. But whether you wish to go professional or not, a certificate from LCB can be a great fall back option, feels certified chocolate taster from the International Institute of Chocolate Tasting, London, Nitin Chordia. a�?People become restless after the course and tend to start making back the money theya��ve spent on it. But that is secondary. When youa��ve done a course at a reputed institute, you want to demonstrate what youa��ve learnt. I think not doing something commercial is foolish,a�? he argues. On demandJyotsna Kini, founder of Bengaluru-based The Extraordinary Travel Company, intends to plan holidays with cooking sessions from next year, fuelled by popular demand. a�?Hands-on classes are a fun way to learn about the gastronomy of your new host country plus it provides for a great group dynamic,a�? she says, adding that most people however, are unaware of the options they have in different destinations. a�?Institutes like Le Cordon Bleu offer short courses for travelers and one can even learn how to make the quintessential buttery croissant at a three-hour class at La Cuisine Paris. Thailand is also a crowd favourite. The Thai Farm School in Chiang Mai offers small group classes. Sometimes the chef will take the group to the market to shop for local ingredients,a�? she shares.And if you are looking for an experience like this on holiday, without shelling out the money that an institute like LCB would charge, fashion designer Mandira Bansal suggests contacting local tour operators in Europe. a�?They organise cooking sessions with local chefs at dedicated kitchens. I did one while on holiday in Florence. It costs just 10 per cent of what a 15-day course at LCB would cost and you get to sit down for a meal with the others at the session after cooking,a�? she says, explaining that it is both fun and helps you network.